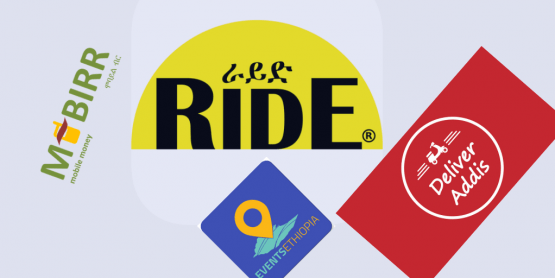 Addis Abeba, June 04/2018 – Lately, it seems every new day in Ethiopia’s soil brings with it a wave of developing story. 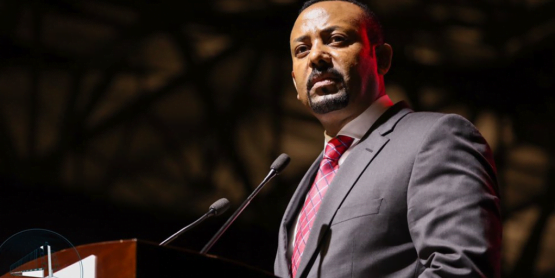 In just two months into his office, the new Prime Minister Abiy Ahmed has won the hearts of many Ethiopians by releasing thousands of political prisoners, some of whom highly revered by the public, and by promising multiple reforms. He has conducted discussions with different sections of the society and has largely managed to generate optimism among millions of Ethiopians at home and abroad. However, increasing accounts of ethnic based displacements and violence against ethnic Amharas living in various parts of the country are likely to become one of his biggest challenges and a test to his leadership. The country has been witnessing bouts of ethnic based violence and consequent forced displacements since the Ethiopian Peoples Revolutionary Democratic Front (EPRDF) took office almost three decades ago. 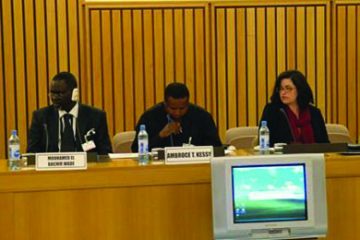 Human Rights Council (formerly Ethiopian Human Rights Commission) has conducted several investigations and published numerous reports on ethnic and tribal conflicts in different parts of the country; and among different ethnic, tribal and national groups. The reports which date back to as early as 1992, a year after the current government took office, extensively reveal the pervasiveness and seriousness of the problems. A tabular summary of 41 reports conducted by the council can be found here (Pages 4-6). The right of Ethiopians to live and work in their own country has never been compromised as in the past couple of years. In the past year alone, Ethiopia witnessed a staggering one million internally displaced people following conflicts in the border areas of Oromia and Ethio-Somali Regional States. Similarly, the United Nations has reported displacement of at least 200,000 people in the border areas of Gedeo (SNNPR) and West Guji (Oromia) in last month. 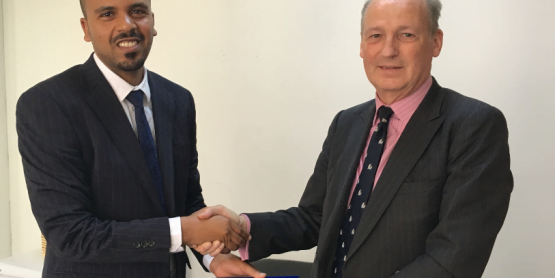 There exist various factors deemed responsible for the resurgence of ethnic-based conflicts in different parts of the country, especially in SNNPR and Oromia regional states. For a country like Ethiopia, where polarized political orientations seem to be the norm, the reasons vary depending on who is being asked. Nonetheless, many posit the current ethnic federal arrangement as a major contributing factor. It is beyond the scope and intention of this article to discuss the pros and cons of Ethiopia’s current federal arrangement and its contribution to ethnic based violence. Hence, let’s move to the specific topic mentioned in the headline. It is a fair assessment to say that in the past 27 years, Amharas have been particularly targeted in violent ethnic attacks in the country. Ethnic Amharas living in some areas of Oromia, SNNPR and Benishangul regional states have been killed by groups of residents, sometimes encouraged by the support of local officials, according to some accusations; the properties of Amharas and sometimes Tigreans have been looted and ransacked and residents were made to flee from their homes because they were considered ‘settlers’ in their very own country. Several accusations point at discriminatory and blatantly ethnicist approaches by different levels of government bodies which have characteristically marginalized ethnic Amharas. Such incidents have contributed to the budding Amhara nationalism. A striking piece written by Amanuel Tesfaye a few weeks ago and was published on Addis Standard has presented a list of factors, which the author considered to precipitate the birth of Amhara nationalism. Recently, hundreds of Amharas have been forcibly displaced and evicted from their homes in Kemashe Zone, Benishangul Gumuz region. 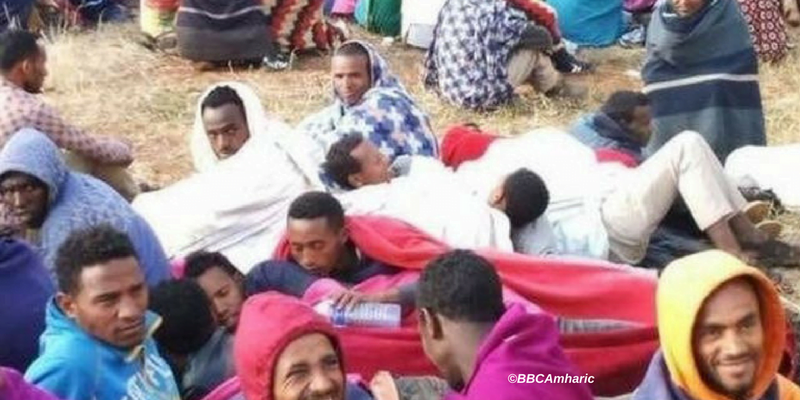 More than 530 ethnic Amhara households (each household has from 2-8 members) were displaced from their land and forced to run away from their homes, fearing for their lives. The eviction was carried out with active involvements of local authorities who ordered armed militias and other residents to attack ethnic Amharas, according to a statement by Association of Human Rights for Ethiopia. 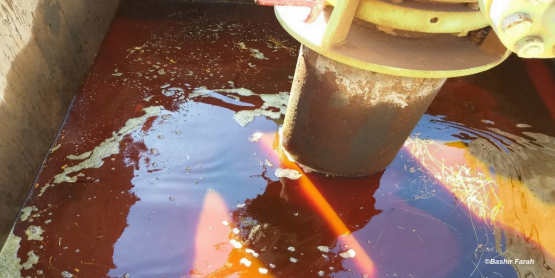 The recent attack started in October 2017 and continued until the end of April 2018. 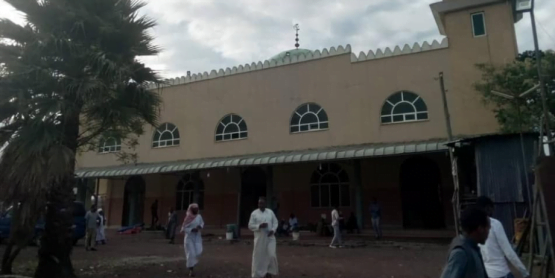 During the attack 13 ethnic Amhara individuals were killed and at least 50 others were injured. Similarly, hundreds of ethnic Amharas who have lived in Oromia regional state of Illibabur zones of Buno Bedelle, Choraa Wereda, Jimma Jilaa, Jimaa Togo, Sotolo Jimate, Sotole Gawaa, Agule, Burle number one, and Chabi areas and in Wellega are being forced to flee their homes in recent months, see this report for instance. Many Amharas from different parts of Wello were relocated to these areas in 1977 following the infamous Ethiopian famine, which particularly hit the former region of Wello, now under Amhara regional state the hardest. Through the long years, the residents have made families and properties. To the most part, they have peacefully coexisted with Oromos. But since last October, many of them have been targeted in ethnic attacks by some ethnic Oromo groups, and were forced to flee fearing for their lives. “Having been granted approval by the wereda authorities, a crowd of people held a demonstration to demand our expulsion; they were holding knives and swords, and were helped by the local police. The next day, they started coming into the households of Amharas and Tigreaans; they killed four Amharas. The altercation led to loss of lives from both Amhara and Oromo sides. Finally, it was the Amhara regional police that came to our rescue; they also helped us secure back some of our belongings. I lived there for 34 years, but came to Wello about six months ago, because I have no guarantee of life there, and the officials refused to ensure our safety”. Logistic and other assistance from Amhara regional state was too little too late; the respondents told us that the regional office only recently supplied a very small amount of food supplies, and to their knowledge, no effort has been made on the part of Amhara and Oromia regional bureaus to solve the problems and bring peace. All four of displaced individuals interviewed for this article share similar sentiments. They blame the regional authorities for intentionally failing to keep them safe, and even corroborating in the destructive acts. They are convinced a bigger force is behind the killing and looting of their properties. Mohammed Kubri came to Illubabur Zone, Bedele wereda when he was a very young boy. He is one of the many resettled individuals following the famine that hit Wello in 1983. 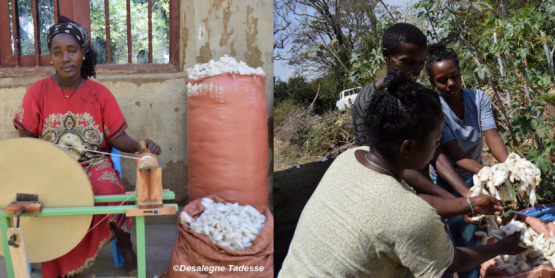 Many Wello Amharas from Desie, Kemise, Lasta, Raya, and Habru live in the area. He is one of the committee members set up by the displaced people to oversee the alarming situation. He regrettably recalls that four of his friends- Seid Mohammed, Seid Demise, Molla Mohammed, and Ahmed Khalifa- were killed by a gang of protestors. Assefa on his part is puzzled by the eerie contradiction seeing the prime minister trying to address other nationwide political concerns but failed to solve or even talk about this very pressing issue. 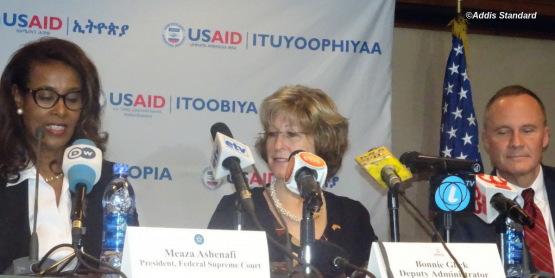 Currently there are around 1,400 internally displaced Amharas (Wello origin) who are sheltered in different areas in Northern Wello, according to Amhara Mass Media Agency. This is in addition to hundreds of Amharas seeking shelter in Bahir Dar, the capital of the Amhara Regional State. What is even more disconcerting is that, no government body has publicly said anything about the recent violence and displacements from Oromia region. 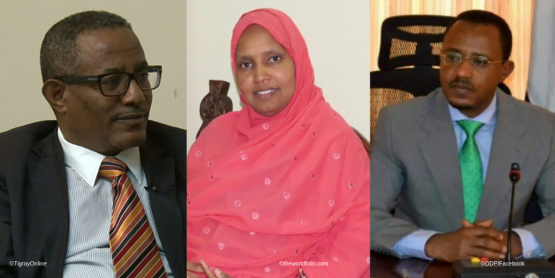 The head of Oromia regional state and other officials have chosen to remain silent, which makes the situation bizarre if not leads one to wonder whether it could actually be a calculated act. Furthermore, there has not been any word from the federal government thus far. 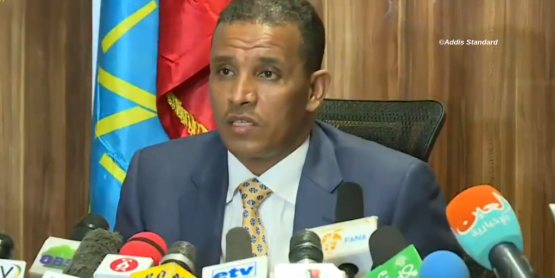 The Ethiopian Human Rights Commission recently told the public that investigations will be underway to find out the cause of the violence. However, given the poor record of the commission to conduct independent investigations, it is hard to take the commission’s words at face value. Another member of the committee, Alemu, told us that there are over a thousand people seeking refuge in different areas of Northern Wello since last October. He also said that in the past two weeks alone, he has learned that houses were being burnt and people have continued to flee fearing for their lives. 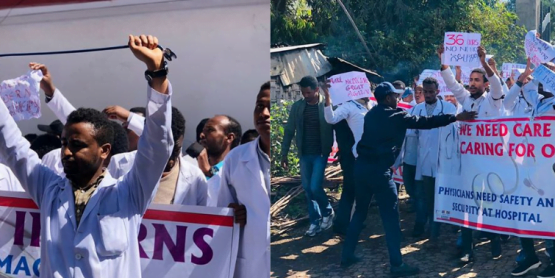 The committee was on its way to the violence ridden areas in Oromia last week to investigate and find possible solutions, but aborted its mission over the last weekend having been given no guarantee of safety. Media and human rights’ group attention regarding the recent displacement of ethnic Amharas has also shockingly been very little. It is understandable that precluding factors in the region may have made impartial investigations very difficult; in addition, nationalist driven rhetoric is making access to factual information and balanced discussions daunting. Nonetheless, it is quite puzzling and bizarre for human rights institutions such as Human Rights Watch and Amnesty International, that have remained active in Ethiopia’s politics and have published dozens of reports about anti-government protests in the country, to be completely silent about the mass displacement and killings of ethnic Amharas from different parts of the country.